Free courier shipping on orders exceeding $10000. You can arrange for a free collection from our warehouse, located at 38 Paraweena Drive, Truganina, VICTORIA 3029. Free courier shipping on orders exceeding $150. Please note that some remote NT, WA and QLD locations will incur an additional delivery charge which we will contact you after your order has been placed. You will then have the option to pay the additional amount, or accept a full refund. You can return your item (in its original condition and packaging) within 3 days of delivery, for a full refund or exchange - no questions asked! Simply return the item to our warehouse (38 Paraweena Drive, Truganina VICTORIA 3029) and we will issue a credit note for exchange or EFT Refund as soon as we receive the item back. The buyer pays return shipping unless the product was damaged at the time of delivery, and the product must be returned in the original packaging via a courier company together with a tracking number. We can provide our freight company to pick-up an item from buyers chosen location at buyers own cost (this can be deducted from the refund or credit note amount). Please also allow three to five working days for a refund to be processed as this will allow time for the inspection and re packing of the item returned. If an order is cancelled whilst in transit with the courier company, we will need the rug returned back to us before we process any refund. All items received with a manufacture fault will be happily exchanged or refunded in full. 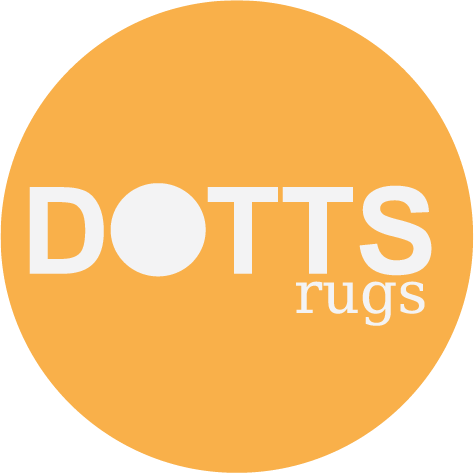 Simply email us on info@dottsrugs.com.au with a description of the fault and a clear photo of the fault. If your claim in approved/valid, we will gladly give you the option of an exchange of the same item or a full refund. Please note that manufacture faults must be claimed within 2 days of receiving you item. 1) Size: being a hand made article, the size can vary by +/-3% from the size ordered. 2) Colour: Every effort is made to ensure there is minimal colour variation however some variation can be expected. 3) Fading: Placing rugs in direct and continuous sunlight will cause them to fade. Charcoal colour products will fade in natural light/sunlight. Some colour may transfer on light coloured surfaces. Rotate your rug to minimize damage caused by natural light. 4) Design & Construction: Minor variations may be evident, which is due to the fact that the product is a handmade item including line/weave thickness. 5) Shading: Due to changes in pile and weave direction shading may occur and is a natural characteristic of carpets and rugs. 6) Shedding: Our hand made rugs are made from all natural fibres. Natural fibre rugs will initially shed loose fibers, this is a normal process. The removal of any loose fibres will be hastened by regular vacuuming using a good quality upright vacuum cleaner. 7) Pilling can occur due to traffic, moving of furniture, vacuuming or other mechanical agitation. This can be trimmed with scissors. 8) Pop ups: Due to the type of weaving, there will be short fibres popping up while the rug settles. This can be trimmed or pushed through. 9) Fumigation smell. AQIS - the Australian Quarantine and Inspection Service - works to protect Australia’s unique natural environment and economic assets from many pests and diseases found in other parts of the world. Common items of quarantine concern include: wooden items; rugs; carpets; skins; feathers; straw; paper; cardboard; etc. Treatments applied for biosecurity purposes are part of measures used in managing the risk of introduction of exotic pests and diseases. There can be a residual smell left after the fumigation treatment which will air itself out within few weeks of opening the packaging if left in a well ventilated space. Clearance and discontinued items cannot be returned, as they are offered at a greatly reduced price and will not be restocked.